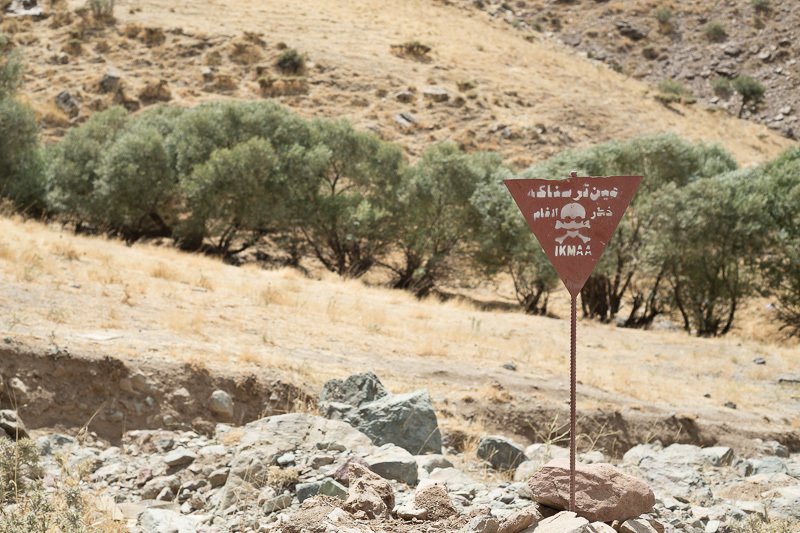 A minefield warning marker is seen next to a KDP-I checkpoint in the Khandil Mountains. 25/08/2015. Khandil Mountains. Iraq. 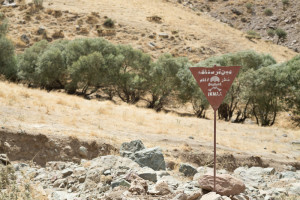 A minefield warning marker is seen next to a KDP-I checkpoint in the Khandil Mountains. After many years of training and staying away fro the border with Iran the Kurdish Democratic Party Iran (KDP-I) are now returning to their bases along the mountainous areas next to the Iraqi border with Iran. The group, consisting of Iranian Kurds who are disaffected with the Iranian regime and its human rights abuses, is now preparing to work against the Iranian State, though has not yet started to fight.